A week ago, I published a post with ideas about how to handle students how are being mean, rude, and disrespectful to each other. The post began with a question from 4th grade teacher, Jenny Eldridge. The ideas all came from other teachers who stepped up to offer suggestions. A few days after the post went live, I received an awesome (and well written) email from Jenny. In her note, she detailed her plan of attack for those last few weeks of school. I love how she has put the focus on doing good things for other people and how she is cleverly slipping in a meaningful and motivating writing component. Below is the text of her email, pretty much as she wrote it. She also included the wonderful pictures from her classroom. So, heeeeerrrrrreeee’s Jenny! I just saw you created a blog post from my question! So thrilled that so many teachers will be benefiting from the ideas (and relieved other people are also having the same issues). I was so happy and impressed with all the wonderful feedback. I used bits of several suggestions, and I came up with an awesome plan! My kids are too focused on their own problems, so I decided to have them look outward at what they can do for others. For the next two weeks (we have three weeks left), our class is working on a R.A.K. 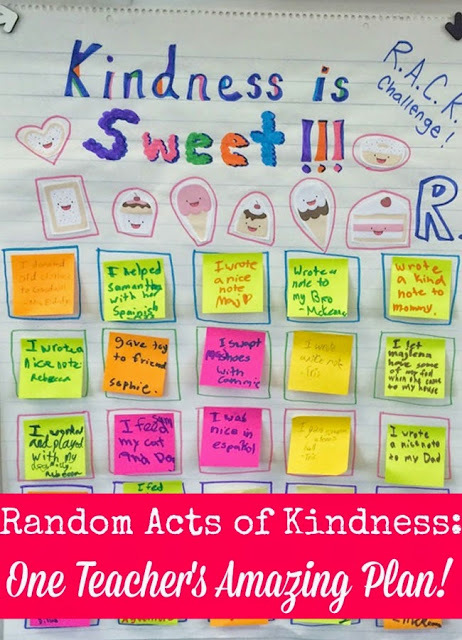 (Random Acts of Kindness) project. Our goal is to complete 100 R.A.K.s by the end of next week as a class. We kicked off the project by writing a special note to one of our family members and tonight the students will hide the note where that family member can find it. 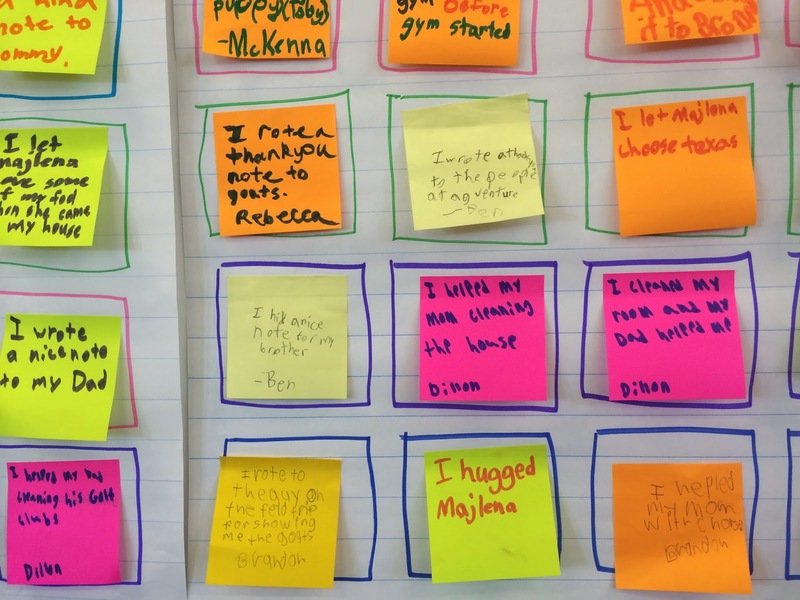 I remember writing secret notes of kindness as a kid and loved it, and I could tell my kids were just as jazzed! For each R.A.K. my kids complete, they write what they did on a post-it and stick it to our R.A.K. anchor chart. They also receive a ticket (I already had a roll of tickets from Staples in my closet) where they write their name and enter the ticket into a drawing. This Friday and next Friday, I will draw some names/tickets to win special prizes (we do Class Dojo already and we have Dojo points and coupons, so those will be the prizes — all free to me!). I know that by providing a potential reward, it isn’t true R.A.K.s, but I know this is what will get my kids excited and motivated, so I’m okay with it. We talked about how true R.A.K.s don’t need any extra reward. and in the end (drumroll…) we will be donating some of the money we have earned as a fundraiser to a cause of the students’ choice on Donors Choose! Students will go on the website, research the needs of posted classrooms in partners, and then will write a persuasive paragraph on which class/project we should donate to. They will present their proposed choice to the class, and then after all partners have presented, we will take a blind vote. I’m going to match what we collected in the fundraiser, and then I will ask each student to bring in a dollar (if they can) so they feel more invested. I’m so excited about this project and it will make the next couple weeks so much more enjoyable! Oh, and I almost forgot – if my students reach their goal of 100 R.A.K.s by the end of next week, I told them that we will be having some sweet treats on the last week (our R.A.K. 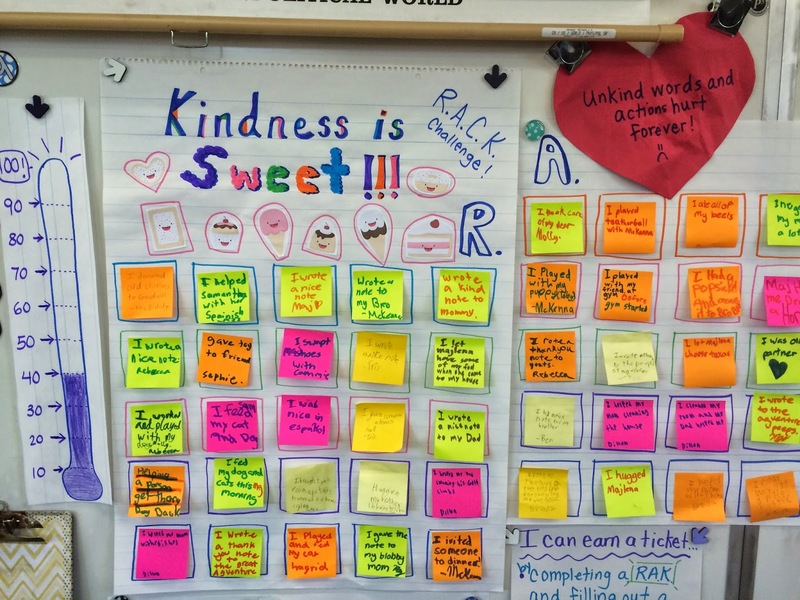 theme is, “Kindness is sweet”). I haven’t told them details yet, but I am planning each day to do a science candy lab (they are obsessed with candy and food, as I’m sure all kids are!). I found this wonderful book that has lots of great and easy experiments. It’s called Candy Experiments by Loralee Leavitt. What a great way to end the year! And also… Jenny added in a later email that students can also earn tickets by writing a paragraph response to R.A.K. writing prompts. You can download the 20 prompts she uses here! 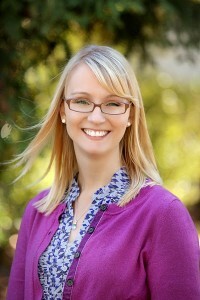 About Jenny Eldridge: I have seven years of diverse teaching experience throughout California. I have experience teaching in public, private, and Montessori schools in grades PreK-4, including combination classes. I most recently come from teaching 4th grade at a progressive private school in San Luis Obispo. I am relocating to the Bay Area this summer with my husband, and I am thrilled that I will be teaching kindergarten at a public school this fall! Thanks for sharing Jenny! Your idea sounds like the perfect way to increase good behavior. I can see this working well before vacations or any time where you need to focus on the positives. I can't wait to try out a version of this with my own class, what great ideas! Love this idea! The book Kindness is Cooler Mrs. Ruler would go perfect with your RAK prohect! !